MyCPD gives you one place to log all your continuing professional development activity - both on the GM website and elsewhere. Record the type of activity, the time spent, and your own reflections on what you've learnt. Then export your CPD log with one click, whenever you need to. Free to healthcare professionals with a GM website user account. 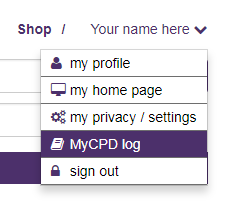 To get started with MyCPD, log in to GM and select 'MyCPD log' in your account menu. (You'll also use this link to edit records). To log an article you've read on the GM website, click 'Save to MyCPD log' on the article page. 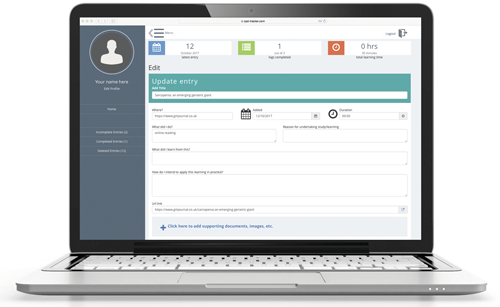 Create a GM website user account for instant access to MyCPD. Registration is free for healthcare professionals and takes less than a minute.